The first CSR in Shipping conference ushers in an era of change for IMPA and for the industry in the shape of the IMPA ACT. Ahead of the conference, IMPA COO, Stephen Alexander, shares his thoughts on what is going to be another landmark in the Association’s history. Update: The CSR initiative, IMPA ACT, has seen its official launch during IMPA London 2013, where a large audience applauded IMPA's efforts in bridging the gap between the marine procurement sector and sustainability. Here are some pictures of this successful launch. 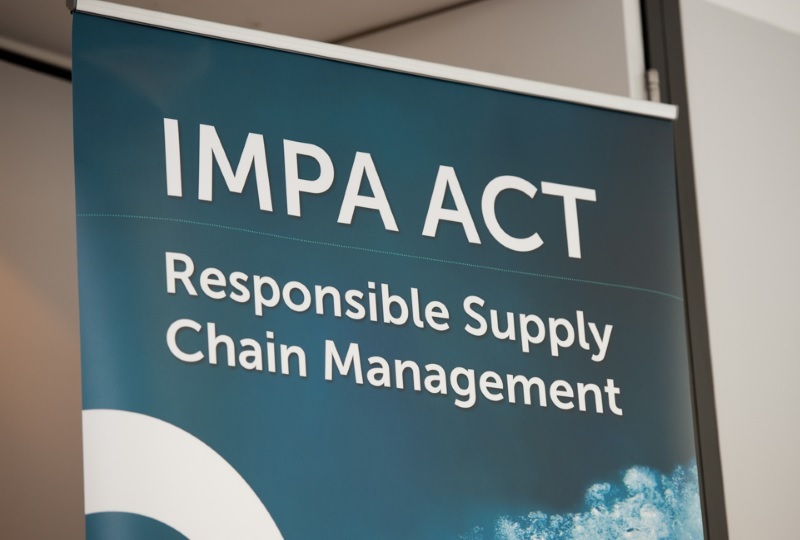 IMPA will unveil its CSR initiative, IMPA ACT, at this year’s IMPA London show during the new conference programme, CSR in Shipping, taking place on the 11th of September. IMPA ACT is a complete management system for Responsible Supply Chain Management that is fully aligned with the UN Guiding Principles (UNGPs) that cover the minimum requirements in relation to human and labour rights, anti-corruption and environment. It is believed to be the first initiative of its type in the world to align with the UNGPs and certainly the first presented to the maritime industry. For IMPA COO and Secretary General Stephen Alexander, the move represents the culmination of two-years’ hard work. He has developed the IMPA ACT alongside some of the leading figures in the CSR field and various members of the IMPA Council. The honour of officially unveiling the initiative to the industry fittingly falls to him in the final presentation of the CSR in Shipping conference. The launch of IMPA ACT is going to be another landmark for IMPA and for the show. We feel very privileged and veryhonoured to be launching it. Over the last years, there have been some tremendouscontributions from a number of people to get this project off the ground – Ithink they too realise the significance of this and what we are about to achieve. We are on the cusp of something that will change the association and change the industry. Stephen also said that the quality ofthe speakers at the CSR in Shipping conference was going to be one of the event’s highlights, adding that the programme would be the first of many CSR-themed IMPA events. It’s exciting for IMPA London to belaunching another conference programme. The topic is growing in relevance for the shipping industry and for the business community as a whole. Our programmeis made up entirely of thought leaders in the field. The keynote, Dr Michael K Addo, was part of the working group of the UN Human Rights Council, the one that promoted the implementation of the UNGPs. Sune and Signe from GLOBAL CSR are vastly experienced in the CSR field, and so are Maria Bruun Skipper, Ulla Eithz Nielsen and Kathrine Geisler. It’s a very strong line-up. Long-term, CSR is firmly on IMPA’s agenda and it is something that will play a prominent role in the training we offer and the events we host. But, we aren’t limited to Europe or the UK with this, nor are we limited to training and conferences. This is an initiative that has a global reach and a lot of scope for development and delivery. What we are about to do imminently is the tip of the iceberg and it’s what makes this year’s IMPA London so significant. So roll on the 11th of September!